Sunday Night Football Preview and Prediction: Will the Cowboys or Texans Win the Battle for the Lone Star State? If you ever try to say that football is just a game in the state of Texas, be prepared to duck—and fast! People take the game seriously. Even though neither the Houston Texans or Dallas Cowboys are looking great this season, that doesn’t make Sunday night’s game any less significant. Winning a Super Bowl is the ultimate goal, of course, but it never hurts to have bragging rights over an in-state rival. Both have issues. But who’s strengths are strong enough to overcome them this week? The Dallas Cowboys decided to take a novel approach to this season—no primary receiver. While there was a method to the madness theoretically, it hasn’t worked well for them so far this season. So far, the only teams with less productive passing games are the Arizona Cardinals and Buffalo Bills. But the Cowboys are one of the few teams remaining that lean heavily on the run. They need it to get going to force defenses to relax their pass coverage before Dak Prescott can be successful. If they fail to get the run game going, the offense is trouble (see Week One). But even with it, the offense is not a lock to work well (see Week Three). The Dallas defense is playing well overall but will probably be without the services of linebacker Sean Lee. Against a quarterback like Deshaun Watson, that could be a key deficit. 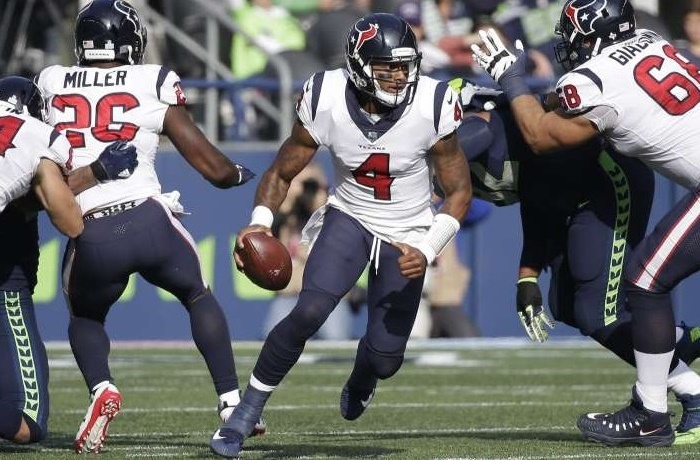 Then again, even though Watson has played well overall, the Houston offense hasn’t been nearly as exciting as it was during his miracle run last year. To be fair, the passing game is not bad; it currently ranks 11th in the NFL with 291 yards/game. The combination of Lamar Miller and Watson have the Texans run game ranked ninth (123.3 yards/game). This one is going to be a tale of who can take advantage of the other’s weaknesses. Dallas is great at running the ball, but the Texans have one of the better run defenses in the league (ninth; 94.3 yards/game). But is that because they are that good or because everyone is too busy throwing on them (27th; 288 yards/game)? Look for Dallas to do a better job throwing the ball this week and to have some success in the run game as well. But last week the Houston offense looked like it was getting back to the fun, exciting unit fans loved in 2017. So, expect to see the Texans get creative once again. The first half will be a close, hard-fought contest. But the Texans will break a few plays in the second half and take over the game. Houston is favored by 3.5-points, but they’ll win by seven.